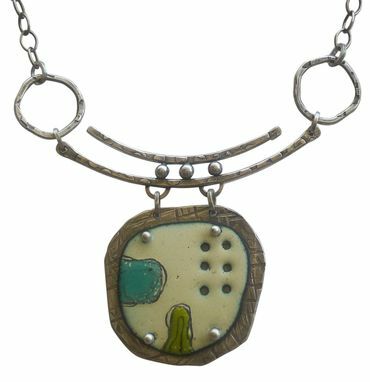 Substantial enamel and sterling silver necklace. The enamel piece is riveted to a stamped sterling silver back. Pendant is approx. 2" x 2". Length is adjustable from 17" to 20" Available in other color combinations.